The deep snow up high has brought the elk back down to the valley. 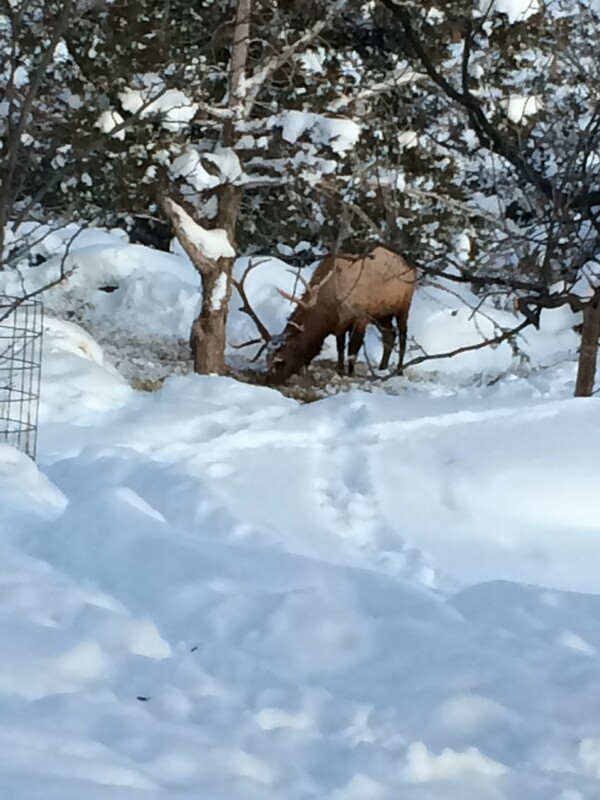 This big bull is eating the old hay we spread as mulch last fall. Starting to dig out the aisle so we can feed the ram lambs. 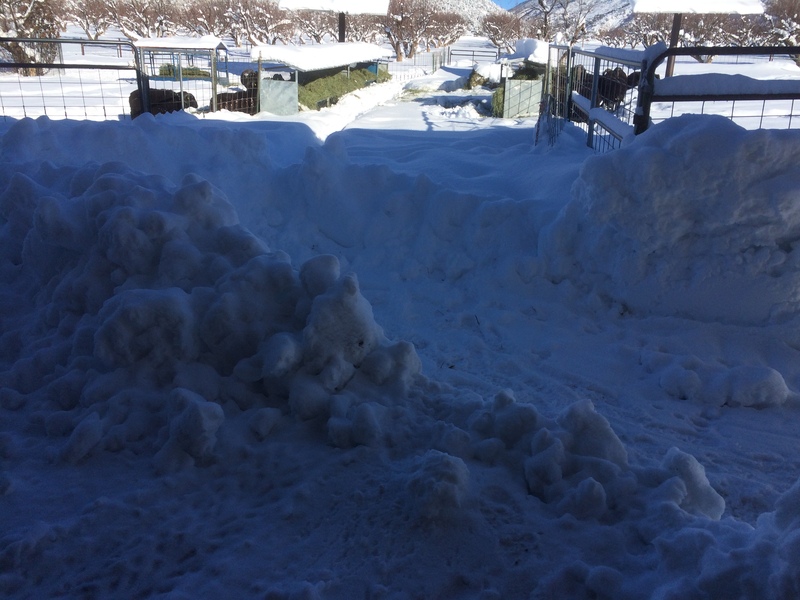 Meanwhile, Ken is trying to clear out enough snow from the aisle way so we can get in to feed the ram lambs.